The heritage of Schaff Piano Supply Company goes back to 1868 when John A. Schaff started a piano manufacturing company in Chicago. Since then, the family, and later owners, have developed the largest and most steady piano products resource in the world. Much research and scrutiny has gone into the acquisition of new products, and many of their products are made by them in Chicago. All of this is important to me because I trust the judgment of the people at Schaff to deliver a good product to you, our customer. 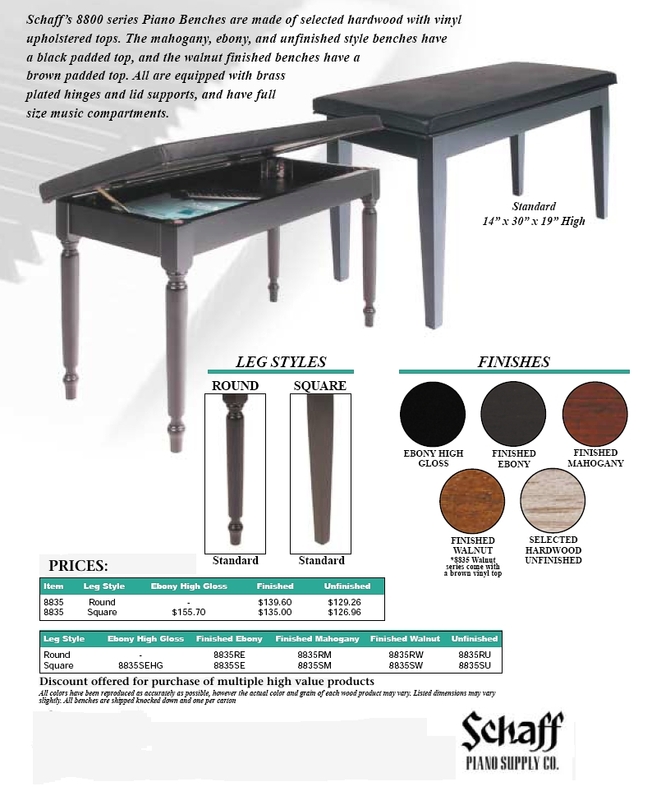 Schaff has decided to import a piano bench because it meets their standards, and they stay on top of the quality issue all the way from the source in the Orient. These benches are made FOR Schaff, not for the mass market. Schaff will stand behind this product, and so will we. 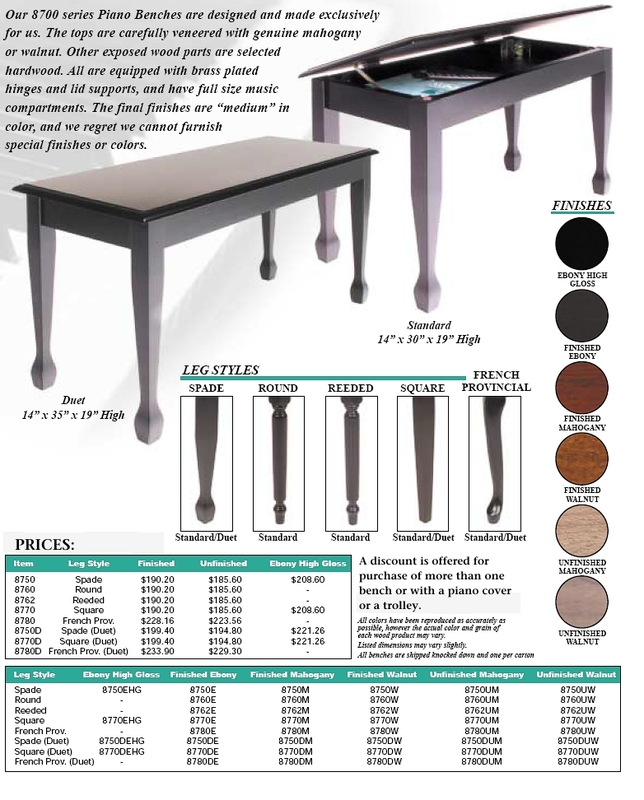 I trust you may find a bench choice below which meets your need. You will not have to explain things to your friends after you put this bench in front of your piano.